Team Dallas SEO: APT Media, Inc. APT Media, Inc. is a team of experts for Dallas web Design, SEO and small business promotion. 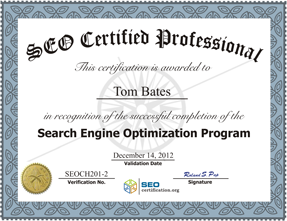 We are your Dallas SEO Services team and look forward to being part of your companies marketing arm. Our Team IS GREAT and they take great pride in delivering exceptional work. ” Tom Bates, Cris Henderson, and of course our creative and intuitive Graphic Designer on the team is Chris Thompson and HE JUST ROCKS THE CRAYONS! Here is a little about each of us and our lovely picture so you can place a face with our voices. Hello, I am Cris, I lead the development and programming of all projects for Apt Media, Inc.
Hi. I’m Chris and I design stuff. I like crayons, cool colors, fast cars and making clients happy. Our team has been together for many years and take great pride in delivering amazing results. We just want do an amazing job for you and have a great time while we do it! Mr. Bates, is noted by many as not only a fair business man, but great SEO Service provider, team development expert, well versed in many business niches making him the “GO TO GUY” for getting the tough search terms placed in the search engines, delivering world class integrity and customer satisfaction without fail. Please allow us the opportunity to earn your business.